Frk. Slej: My New Favorite Thing! 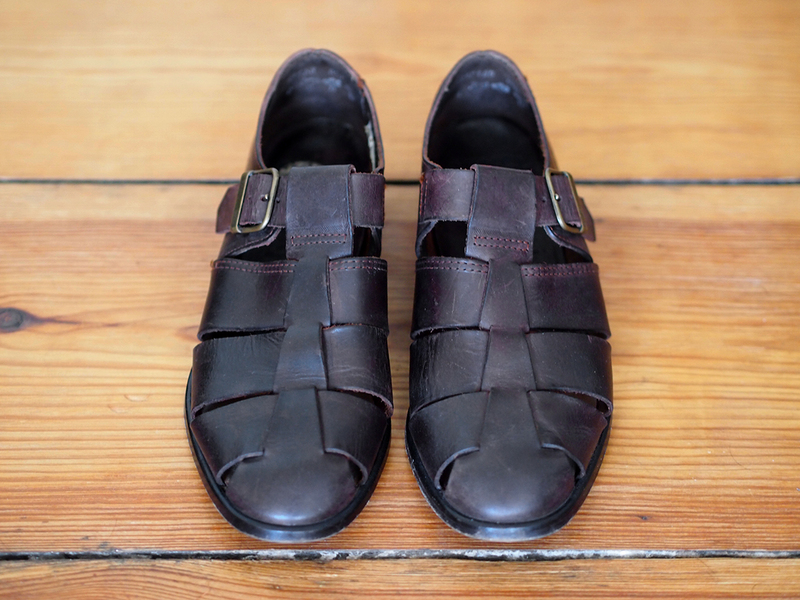 Two weeks ago I saw these amazing classic leather sandals at the Boxi Flohmarkt. I didn't buy them, but since I left them there I have been thinking what a mistake that was. So today I went back to see if I should be so lucky that they were still gonna be there, and to my luck they were. They fitted me perfectly which rarely happens for me with vintage shoes and I even got them 15 euros cheaper than two weeks ago. So I feel like I found a treasure as I can see myself wear these for many years to come.